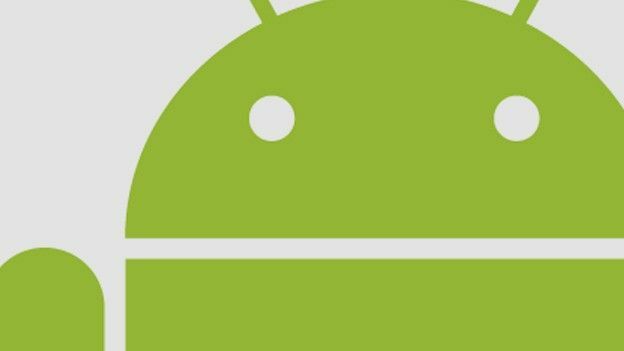 As the Android Market rises to 100,000 apps, the task to find those applications truly worth your hard earned cash gets a little harder. Instead of racking your memory for anything you remember from your Maths lessons, this money app does exactly what it says on the tin, with a dozen number crunching options to guide you safely through the mathematical maze. Your friends have been abducted by aliens! Luckily the alien tractor beam pulled up enough debris to allow you to follow them up into space to rescue your herd. Aevum Obscurum is a medieval risk-like turn-based strategy game where you take the reins of a budding empire and struggle against fellow empires for control of Europe. Air Controller is a simple looking game which uses the touch controls of your phone to guide planes in for landing. Smack the puck into the goal with this touchscreen version of the end-of-pier arcade perennial. Stops your music collection from looking dull and lifeless. Get behind the turret and lock your sites on your enemies, this is going to be an epic battle! You will have to use every ounce of your skill to destroy the cunning tank commanders that are out to destroy you. hoose from a list of 10 teams and battle it out on the field in America's exciting pastime. Create and customize your pitcher and batter, and live the life of a major leaguer! It's time to step up to the plate and become the next superstar! Put on your hard hat and prepare to make your way through 80 levels of exploding awesomeness. Billed as the game 'for those who think', BrainGoal! is a game is for those who have a penchant for maths and logic and who don't mind actually using their brains for fun. Buka is one of the strangest games you will ever play. Not because of the objective, which is actually fairly simple - zap the meteorites before they crash into you - but because of the baby talk the protagonist spouts while you are floating through space. Thankfully there's an app out there which brings extra functionality to your Android handset's camera which makes it a half-way decent picture taker. Load Camera Zoom FX up and you'll be surprised just how many features are on offer. Ever parked your car, gone somewhere only to come back and forget where your car is? If yes, this is the app for you. Coloured marbles tumble from the top of the screen and you have to get rid of them by matching them up. Simple but oh-so effective. Turn your Android device into a fully fledged sat nav, complete with turn by turn navigation. The best way to create, view and edit Microsoft Word and Excel files on your Android phone. It's a bit pricey for an app, but if you really must work on that vital presentation, novel or annual financial results report on the train, it's well worth the outlay. The most addictive iPhone game ever finally hits Android. Despite its beautiful sheen, at the heart of Egggz is a simple 'tap' game, in that you have to tap the Android screen to catch the eggs which are falling from the chickens. While most of us like to think that our lives are the mutt's nuts, most of the time when you break down the 9-5 machinations of life most days we tread a fairly mundane path. Fruit Ninja is a great lesson in simplicity. All you have to do to play it is swipe your finger over the fruit being flung to slice it open and dodge the myriad bombs which get in the way. With a hankering for some chocolate and the need to fill up the tank before the weekend, this petrol price-checking app which comes as an annual subscription delivers you up-to-date prices across the UK and identifies where the cheapest and most expensive places are to fill up. Indie game that sees you attacking planets for the fun of it. Gem Miner is one of those games, proving that a simple idea, some cute graphics and a bucket-load of game play can go a very long way. Chomp your way to the top of the food chain in this fast-paced aquatic eat 'em-up. Binge on the beach, trawl the depths and raid the Antarctic to satisfy your voracious appetite. ICE stores all your medical info and allocates an emergency contact which is accessible straight from your phone's home screen. Match up the coloured jewels and collect all the mosaic pieces to be become king of Egypt. Kids Shape Puzzle Halloween is an educational and entertaining kids game for preschool-age kids.Thrill your kids with over 30 puzzles. Lock 2.0 is a lock screen app for Android which has iphone style slide unlocking. Want remote access to your PC at home from your mobile? With LogMeIn, you can. The entire rail network ready and waiting for you in one handy app. Emulates the NES console, giving you a retro fix of Zelda, Mario, Gauntlet and the rest. Mind-bending space game which will whisk you back to 1984. Classic Tower Defense done right! Featuring 5 maps, 9 different enemies (in over 350 waves), 4 tower types (with upgradable abilities), and a "Game of the Week" which offers new maps and enemies!. The app brings all your messages and feeds into one simple to use widget. It worked brilliantly for us. We let the app take content from our Twitter, Facebook and Gmail accounts and everything was easy to read and accessible, although if we're being picky, the text was a touch too small. Acoustic guitar, with chords sampled from real, classic guitars. "You sank my battleship" is a cry which has been heard in homes for generations, but now it's been ported on to the Android platform, albeit in an unofficial capacity. Your TV on your Android handset - simple. Create, upload and monitor your outdoor pursuits with SportTracker Pro - the ultimate app for budding iron men. Spotify's arrival on the Android suitably makes up for the absence of an iTunes equivalent by offering huge catalogues of uninterrupted streaming music. The idea of the game is a simple one: get your marble around the maze in a quick a time as possible, nabbing all the gold stars before the other evil balls do. Use Shadyface Stealth Recorder to invisibly record audio conversations in the background! Use it to spy on friends, coworkers, your boss, your parents and your teachers! Leave it on the table and they'll have no idea. Talking Tom repeats everything you say with a funny voice. You can pet him, poke and punch him, you can even grab his tail. The classic brick breaker officially available on the Android platform. In a clever move to avoid the likely disappointment of being confronted with an out of service 8.30am train to work, one glance at your handy app linked up to the official London Underground website, and you'll have real-time information for your alternative routes. And a tube map if you really get lost. One of the best looking and intuitive apps, which caters to all your Twittering needs. Wolfram Alpha is great: it thinks outside of the box to bring you a mountain of interesting facts. You've Got Shopping+ is an app like any other shopping list application, but with one twist: you can email the list to anyone with a Gmail account. The RPG is in a similar vein to Zelda. Its graphics are cute and cuddly 16-bit and there is a surprising amount of depth to the gameplay.